In early June of this year, MIM Distributors received a letter from Assistant Director Cynthia Bostic of the North Carolina Department of Public Safety (NCDPS) upholding the censorship of Under Lock & Key No. 37 (March/April 2014). Bostic censored ULK 37 because it mentions the options legally available to prisoners, to not buy from commissary, not order packages through the prison's vendor, and to file civil action suits. None of these activities are illegal, or even against NCDPS's own policies. Since the newsletter talks about activities which prisoners are legally allowed to engage in, but which give the prisoners a tiny notion of agency and self-determination, it is not permitted in the state. As a North Carolina comrade wrote almost two years ago, censorship of ULK under the guise of illegal activities was triggered by a surge in subscribers in that state and the development of a campaign by USW comrades in North Carolina to petition the state's ineffective grievance system. MIM Distributors has written multiple letters to NCDPS administrators in an effort to defend the rights of prisoners to read our newsletter, and to exercise our right to free speech. One of these letters helped convince Bostic to approve the delivery of Under Lock & Key No. 36 (January/February 2014). 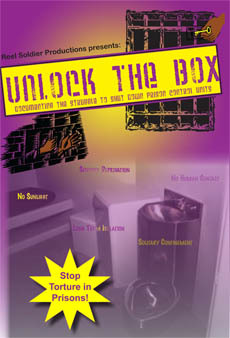 According to Section D.0105(d) of NCDPS's Policies and Procedures, upon approval, the Publication Review Committee and Wardens are supposed to work together to deliver the previously censored issues of Under Lock & Key to their intended recipients. In Bostic's letter, she "permits" MIM Distributors to resend ULK 36 at our own expense. We recently checked in with our subscribers in North Carolina to see if this issue was delivered to them via the channels outlined in NCDPS Policies and Procedures. If you were a subscriber in January 2014, you should have received issue 36 from your Warden. Let us know if you haven't! In our review of Rise of the Planet of the Apes (2011), we drew parallels to the Conquest of the Planet of the Apes (1972) from the original series. The final episode (Battle for the Planet of the Apes (1973)) of the original series takes place hundreds of years after apes have risen to power and gives an interesting take on the dictatorship of the proletariat as apes rule benevolently over humyns and strive for a peaceful society. The latest, Dawn of the Planet of the Apes (2014) is more of a Conquest part two in terms of the timeline, but takes on many of the themes of Battle. Dawn of the Planet of the Apes takes place a mere ten years after Rise, featuring many of the same ape characters. In those ten years, humyns had been virtually wiped out by a virus that was a product of testing done on the apes and infighting that resulted from the crisis. In the meantime, the apes that fled to Marin, California have built a home there, and other species have made a miraculous recovery in the absence of humyns. The theme that Dawn shares with Battle is the apes realizing they are no better than humyns when it comes to war and violence. This is a positive lesson in historical materialism that looks at the social causes of war, conflict and change in general. It makes sense that as apes develop a more advanced society with language, buildings, fire and larger populations, that similar social phenomenon will come into play as we have in humyn society. In Battle this was a nice lesson as it came after hundreds of years of dictatorship of apes over humyns, at which point one would expect a sense of commonality (internationalism if you will) to have developed. What is less believable in that movie is that after all that time there would be a vengeful element, which is played off as an almost genetic/racial thing particular to the gorillas. In the most recent movie we would expect much desire for vengeance against humyns, as these were the very same apes that were raised in prisons and experimented on by humyns before the revolution in which they freed themselves. The new series has not yet reached the point of dictatorship of ape over humyn, only separate settlements that are now engaging in war with each other. Both sides have their militarists. The ape is motivated by vengeance from the torture he endured, while the humyn has a sense of purpose in returning humyns to their rightful place as dominant. A looming oppressor consciousness persists among the humyns despite their fall from grace. Though the main material force pushing them into conflict in the first place is the need for the hydro power that is within ape territory. No doubt, the justification of genocide for natural resources is still deep in these Amerikans' way of thinking. Dawn does offer us some underlying political lessons. Caesar, who led the revolution in the previous movie as the only ape who knew how to speak, is now the established leader. All apes have developed some ability to speak (and at least the younger ones are learning to write), and they are able to communicate even more complex ideas through sign language. The mantra "ape shall not kill ape" is a direct throwback to Battle, that is repeated throughout this latest movie. This format is similar to short sayings from Mao that the Communist Party of China promoted under socialism to imbue the people with a new collective consciousness. It was necessary in a society with very limited literacy. Like Mao, Caesar is reified. At the same time, as Caesar disappears from the scene, it is clear that there is a core of apes who followed Caesar's ideas, and not just him as an individual. And there is a sense that the whole population has some grasp of these ideas, again similar to socialist China. But when a usurper seizes power, the masses follow him with little resistance. Like the Gang of Four in China, those perceived to be loyal to Caesar's ideas are imprisoned. There is a strong theme of the nuclear family in this movie, at times saying that family is more important than the greater people. While Caesar learns to not idealistically trust all apes, he thankfully does not turn inward to his nuclear family as many do when they feel betrayed by larger organizations or society as a whole. Family is the hideaway of the coward, often the patriarch, who feels they can have greater control there. But revolutionaries strive to transform society by the power of scientific understanding. Like the last movie, the apes show heroic revolutionary sacrifice in their struggle for the greater good for all apes and the society that they have built. While they face internal contradictions based on the harm that oppression has stamped on their psyches, they have done much to build a promising society. 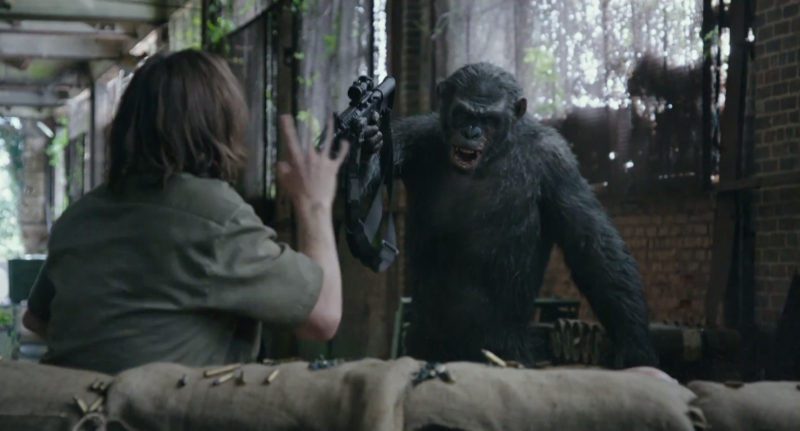 In our review of the previous movie we talked much about the integration struggle, with the apes rejecting that road. The ending of this movie leaves the protagonists from each species hoping for a collaborative effort, but seeing that it is impossible at this time. Caesar in particular seems keen at recognizing the material forces at play and the impossibility of collaboration with the humyns as a whole despite the friends he has among them. Similarly in our world, while there are certainly genuine revolutionary forces among the oppressor nations, we should not be fooled into interpreting that to mean that the oppressor nations as groups are ready for peaceful coexistence. It is the contradictions that humyns face between their weakened state and their desire to have the material benefits of the past that is the biggest threat to the apes in this movie, and seemingly in the next one to come. We hope that the apes learned valuable lessons from this latest struggle that they can consciously consolidate into their ideology as a society as they move forward in their struggle against oppression and to end war. The above diagram summarizes MIM(Prisons)'s class analysis of the First World with relative flows of wealth and relative sizes of each class. The Worker Elite: Notes on the "Labor Aristocracy"
As with our previous review of Bromma's writings, we find h new book to be a good read, based in an analysis that is close to our own. Yet, once again we find h putting class as principal and mentioning gender as an important component of class. In contrast, MIM(Prisons) sees the principal contradiction under imperialism as being along the lines of nation, in particular between the imperialist nations that exploit and those nations that are exploited. While all three strands interact with each other, we see gender as its own strand of oppression, distinct from class. While Bromma has much to say on class that is agreeable, one thread that emerges in this text that we take issue with is that of the First World labor aristocracy losing out due to "globalization." We prefer the term "labor aristocracy" over "worker elite," and we may use it more broadly than Bromma's worker elite in that the type of work is not so important so much as the pay and benefits. Bromma, while putting the worker elite in the "middle class," simultaneously puts it into the "working class" along with the proletariat and the lumpen working class. We put the labor aristocracy in the First World within the petty bourgeoisie, which may be a rough equivalent of what Bromma calls the "middle class." Of course, the petty bourgeoisie has historically been looked at as a wavering force between the bourgeoisie and the proletariat. Yet, in the case of the oppressor nation labor aristocracy, they have proven to be a solidly pro-imperialist class. This analysis, central to MIM Thought, is particular to the imperialist countries. Despite these questions and confusions, overall we agree with the global class analysis as it is presented in the beginning of this book in terms of who are our friends and who are our enemies. One good point made throughout this book is the idea that the "worker elite" is not defined merely by an income cut off. While not denying the central role of income, Bromma defines this class position as a whole package of benefits, material (health care, infrastructure), social (family life, leisure activities) and political (lack of repression, voice in politics). At one point s/he brings up the migrant farm workers in the U.$., who can earn similar amounts to the autoworkers in Mexico who s/he argues make up an established worker elite. In contrast, the migrant farm workers suffer the abuses of the proletariat at the bottom rung of U.$. society, and in reality many make far less than Mexican autoworkers. We agree with Bromma's implication here that the migrant workers make up a proletarian class within the United $tates. While criticizing previous attempts to set an "exploitation line" in income, Bromma brings in PPP to improve this analysis. The book provides a helpful table of the income levels in Purchasing Power Parities (PPP) for various groups. PPP defines income levels relative to a basket of goods to account for varying prices across countries/regions. Bromma concludes that "a global middle class annual income probably starts somewhere between PPP $10,000 and $15,000", meaning that a single worker (man) could comfortably support a family on this amount. This is similar to the estimates others have done and we have used elsewhere. One of the key characteristics of this income level is that they have gone beyond covering basic needs and become consumers. Bromma lists one of the three main roles of the worker elite as being a consumer class. This is something we have stressed when people ask incredulously why the capitalists would pay people more than the value that they are producing. Bromma cites a source discussing the Chinese planned capitalist economy and how they have goals for expanding their consumer class as they recognize that their increasing production will soon not be absorbed by consumption abroad. This is typical capitalist logic. Rather than seeing what the Chinese people need, and produce based on those needs as they did under a socialist planned economy, today they first produce a lot of the most profitable goods and then try to find (or create) a market to sell them to. Where we disagree greatest with this book is that it takes up a line akin to Huey P. Newton's intercommunalism theory, later named globalization theory in Amerikan academia. It claims a trend towards equalization of classes internationally, reducing the national contradictions that defined the 20th century. Bromma provides little evidence of this happening besides anecdotal examples of jobs moving oversees. Yet s/he claims, "Among 'white' workers, real wages are stagnant, unemployment is high, unions are dwindling, and social benefits and protective regulations are evaporating. "(p.43) These are all common cries of white nationalists that the MIM camp and others have been debating for decades. (1) The fact that wages are not going up as fast as inflation has little importance to the consumer class who knows that their wealth is far above the world's majority and whose buying power has increased greatly in recent decades. (2) Unemployment in the United $tates averaged 5.9% in April 2014 when this book came out, which means the white unemployment rate was even lower than that. (3) That is on the low side of average over the last 40 years and there is no upward trend in unemployment in the United $tates, so that claim is just factually incorrect. High unemployment rates would be 35% in Afghanistan, or 46% in Nepal. The author implies that unions are smaller because of some kind of violent repression, rather than because of structural changes in the economy and the privileged conditions of the labor aristocracy. The strongest evidence given for a rise in the worker elite is in China. One report cited claims that China is rivaling the U.$. to have the largest "middle class" soon. (p.38) Yet this middle class is not as wealthy as the Amerikan one, and is currently only 12-15% of the population. (p.32) It's important to distinguish that China is an emerging imperialist power, not just any old Third World country. Another example given is Brazil, which also has a growing finance capital export sector according to this book, a defining characteristic of imperialism. The importance of nation in the imperialist system is therefore demonstrated here in the rise of the labor aristocracy in these countries. And it should be noted that there is a finite amount of labor power to exploit in the world. The surplus value that Chinese and Brazilian finance capital is finding abroad, and using partly to fund their own emerging consumer classes, will eat into the surplus value currently taken in by the First World countries. In this way we see imperialist competition, and of course proletarian revolution, playing bigger roles in threatening the current privileges of the First World, rather than the globalization of finance capital that Bromma points to. As Zak Cope wrote in a recent paper, "Understanding how the 'labour aristocracy' is formed means understanding imperialism, and conversely. "(4) It is not the U.$. 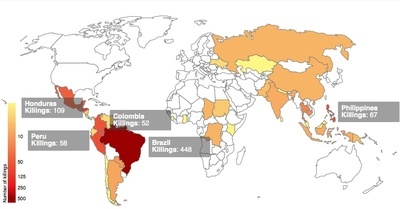 imperialists building up the labor aristocracy in China and Brazil. South Korea, another country discussed, is another story, that benefits as a token of U.$. imperialism in a half-century long battle against the Korean peoples' struggle for independence from imperialism and exploitation. While Bromma brings together some interesting information, we don't agree with h conclusion that imperialism is "gradually detaching itself from the model of privileged 'home countries' altogether. "(p.40) We would interpret it as evidence of emerging imperialist nations and existing powers imposing strategic influence. Cope, building on Arghiri Emmanuel's work, discusses the dialectical relationship between increasing wages and increasing the productive forces within a nation. (2,5) Applying their theories, for Chinese finance capital to lead China to become a powerful imperialist country, we would expect to see the development of a labor aristocracy there as Bromma indicates is happening. This is a distinct phenomenon from the imperialists buying off sections of workers in other countries to divide the proletariat. That's not to say this does not happen, but we would expect to see this on a more tactical level that would not produce large shifts in the global balance of forces. Finance capital wants to be free to dominate the whole world. As such it appears to be transnational. Yet, it requires a home base, a state, with strong military might to back it up. How else could it keep accumulating all the wealth around the world as the majority of the people suffer? Chinese finance capital is at a disadvantage, as it must fight much harder than the more established imperialist powers to get what it perceives to be its fair share. And while its development is due in no small part to cooperation with Amerikan finance capital, this is secondary to their competitive relationship. This is why we see Amerika in both China's and Russia's back yards making territorial threats in recent days (in the South China Sea and Ukraine respectively). At first, just getting access to Chinese labor after crushing socialism in 1976 was a great boon to the Amerikan imperialists. But they are not going to stop there. Russia and China encompass a vast segment of the globe where the Amerikans and their partners do not have control. As Lenin said one hundred years ago, imperialism marks the age of a divided world based on monopolies. Those divisions will shift, but throughout this period the whole world will be divided between different imperialist camps (and socialist camps as they emerge). And as Cope stresses, this leads to a divided "international working class." While there is probably a labor aristocracy in all countries, its role and importance varies greatly. MIM line on the labor aristocracy has been developed for the imperialist countries, where the labor aristocracy encompasses the wage-earning citizens as a whole. While the term may appropriately be used in Third World countries, we would not equate the two groups. The wage earners of the world have been so divided that MIM began referring to those in the First World as so-called "workers." So we do not put the labor aristocracy of the First World within the proletarian class as Bromma does. We caution against going too far with applying our class definitions and analysis globally. In recent years, we have distinguished the First World lumpen class from that of the lumpen-proletariat of the Third World. In defining the lumpen, Bromma "includes working class people recruited into the repressive apparatus of the state — police, informants, prison guards, career soldiers, mercenaries, etc. "(p.5) This statement rings more true in the Third World, yet even there a government job would by definition exclude you from being in the lumpen-proletariat. In the imperialist countries, police, prison guards, military and any other government employee are clearly members of the labor aristocracy. This is a point we will explore in much greater detail in future work. 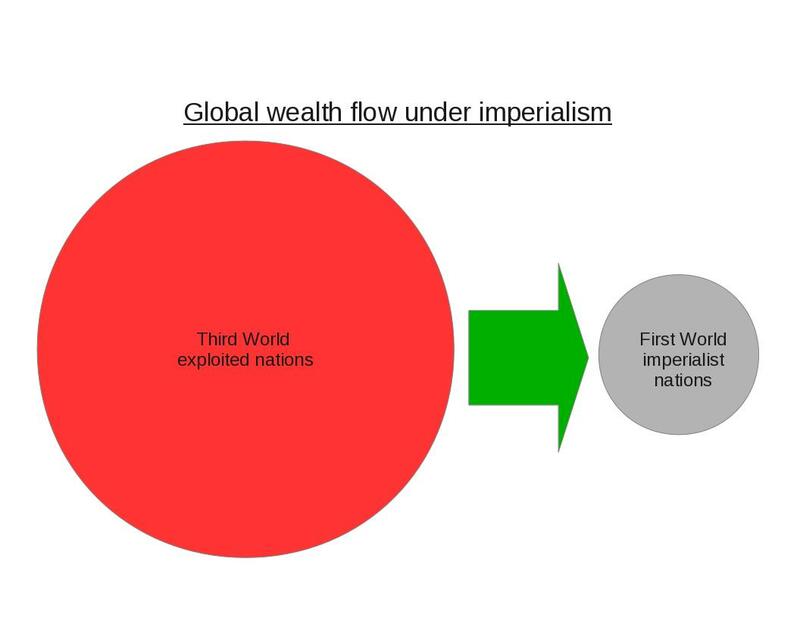 The principal contradiction within imperialism is between exploiter and exploited nations. Arghiri Emmanuel wrote about the national interest, criticizing those who still view nationalism as a bourgeois phenomenon as stuck in the past. After WWII the world saw nationalism rise as an anti-colonial force. 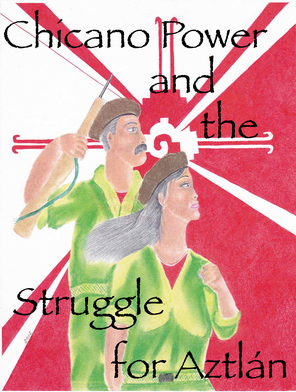 In Algeria, Emmanuel points out, the national bourgeoisie and Algerian labor aristocracy had nothing to lose in the independence struggle as long as it did not go socialist. In contrast, it was the French settlers in Algeria that violently opposed the liberation struggle as they had everything to lose. (6) In other words there was a qualitative difference between the Algerian labor aristocracy and the French settler labor aristocracy. It is the responsibility of people on the ground to do a concrete analysis of their own conditions. 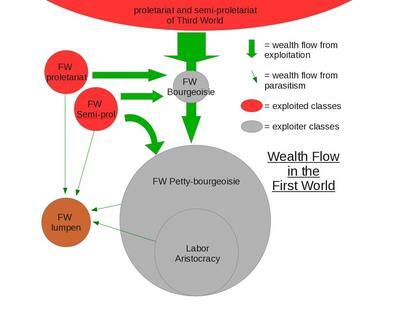 We've already mentioned our use of the term "First World lumpen" to distinguish it from the lumpen of the Third World, which is a subclass of the proletariat. To an extent, all classes are different between the First and Third World. We rarely talk of the labor aristocracy in the Third World, because globally it is insignificant. It is up to comrades in Third World nations to assess the labor aristocracy in their country, which in many cases will not be made up of net-exploiters. Bromma highlights examples of exploiter workers in Mexico and South Korea. These are interesting exceptions to the rule that should be acknowledged and assessed, but we think Bromma goes too far in generalizing these examples as signs of a shift in the overall global class structure. While we consider Mexico to be a Third World exploited nation, it is a relatively wealthy country that Cope includes on the exploiter side, based on OECD data, in his major calculations. Everything will not always fit into neat little boxes. But the scientific method is based on applying empirically tested laws, generalizations, percentages and probability. The world is not simple. In order to change it we must understand it the best we can. To understand it we must both base ourselves in the laws proven by those who came before us and assess the changes in our current situation to adjust our analysis accordingly. 2. Zak Cope. Divided World Divided Class: Global political economy and the stratification of labour under capitalism. Kersplebedeb, 2012, p. 108-9. 3. For example, in 2013, among the native born population unemployment rates averaged as follows: New Afrikan — 13.5%, Latino — 10.7%, Asian — 6.5% and white — 6.0%. Labor Force Characteristics of Foreign-born Workers Summary, U.S. Bureau of Labor, 22 May 2014. 4. Zak Cope. Global Wage Scaling and Left Ideology: A Critique of Charles Post on the 'Labour Aristocracy', Research in Political Economy, Volume 28, 89-129, 2013. 5. Arghiri Emmanuel. Unequal Exchange: A study of the Imperialism of Trade. Monthly Review Press, 1972. 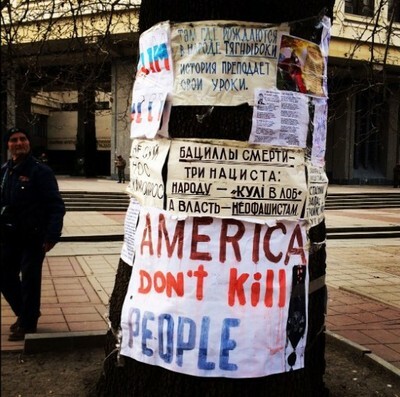 Separating the Strands: Comments on Bromma's "Exodus and Reconstruction"
Amerikans must condemn their government's meddling in Russia's backyard. Backing fascist political parties with nuclear ambitions on the border of Russia is a recipe for death and disaster. (1) Bloodshed has already increased as a result of imperialism's maneuvers as dozens have died in clashes between protestors/opposition forces and Ukrainian security forces controlled by the parties that came to power in the February coup d'etat (the second U.$.-backed coup in Ukraine in 10 years). Interestingly, we have not heard John Kerry call for sanctions against the new Ukraine government as we did last fall when the previous government roughed up protestors, once again exposing his hypocrisy (not to apologize for the now deposed Yanukovic regime, which later killed dozens of protestors in the streets of Kiev). Europeans should be even more worried about the violence being fomented in Ukraine. While the EU hopes to benefit from U.$. militarism in the form of trade relations with Ukraine, that same militarism could bring war to their region. While statements from president Vladimir Putin on 7 May 2014 indicated a cooling off of Russian rhetoric in the conflict, talk of Ukraine joining NATO is a major threat to Russian security. Amerikan foreign policy experts, including Henry Kissinger, have condemned the idea of pulling Ukraine into NATO. The North Atlantic Treaty Organization was formed at the end of WWII as a military pact between countries opposed to the then communist Soviet Union. Since the dissolution of the Soviet Union in 1991, NATO has been creeping into Eastern Europe, towards Russia. The calming words from Putin indicate that the very limited Western sanctions succeeded in not fanning the flames of inter-imperialist rivalry too high. By targetting individuals, the United $tates and Germany avoided the types of trade barriers that led to open wars between the imperialist countries in the early 20th century. And while Russian financial markets have declined in the face of this threat, the hit remains moderate. Another reason to worry is that the U.$.-backed regime has significant participation from far right fascist parties. It is ironic that fascism finds some of its broadest support today in the very peoples who destroyed fascism in the Soviet Union's great patriotic war against Germany in the 1940s. But our understanding of fascism explains why this is so. Fascism is led by an imperialist class that feels its existence is threatened and/or aspires to surge ahead of other imperialist powers, and its mass support is among the labor aristocracy who wants their nation to rise and reap more superprofits at the expense of other countries (see our fascism study pack). Russia remains an imperialist power at odds with the West that cannot provide the same benefits to its people as countries like the United $tates and those in Western Europe. While Ukraine is not an imperialist country, there is a small class of finance capitalists backing the fascist upsurge within the current regime. The fascists are mobilizing within the national guard and are behind the recent murders of local police and civilians in the east where opposition to the new regime is strong. With all the aid and loans being offered to Ukraine from the West, we know that large chunks of money given in the past has gone to various political parties, "election reform," and media outlets(2); something worth keeping in mind when trying to parse out what is going on during political turmoil in client states. USAID, often marketed by the government as a humanitarian agency, is behind much of this political funding and campaigning. The United $tates and Germany are adament that the planned presidential election must go ahead on May 25 as they work behind the scenes to ensure its results. 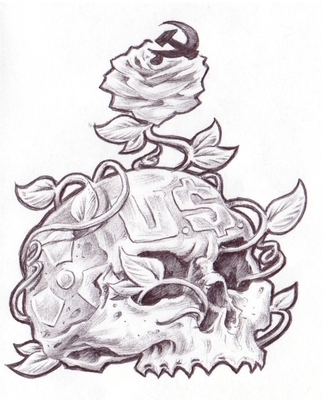 U.$. militarism, which is defined by the Amerikan economy being dependent on war and military production, must be put to an end to stop the unneccessary killings such as those in Ukraine recently and in so many other parts of the world. USAID must be exposed and opposed as a tool opposing the self-determination of other peoples around the world. The anti-Russian sentiments rising among Amerikans and the support that Putin is getting in Russia do not bode well for preventing further conflict if the imperialists decide to step it up a notch. This is a warning for us to strengthen the movement against U.$. militarism. 2. Paul Blumenthal. U.S. Obscures Foreign Aid to Ukraine, But Here's Where Some Goes, Huffingon Post, 7 March 2014. 3. for more historical discussion of Ukraine see our article in ULK 36before the coup entitled "Lenin Statue Toppled in Power Struggle in Ukraine"
April 1 - The deadline for enrollment in health insurance under the Affordable Care Act (ACA) passed last night, and there are now 4.4 million people in the United $tates newly enrolled in Medicaid health insurance plans sponsored by the federal government, and another 8 million people newly enrolled in government-regulated private insurance plans. (1) Those who do not enroll in any insurance and are not covered by a plan through their family, work or school will face fines. For people with incomes less than 400% of the federal "poverty line," the plans are subsidized by the government, and those with less than 138% of this cut off will receive free health care via Medicaid. In the end, for at least the lumpen class the penalty will actually cost them more than having health insurance would cost. This new healthcare system in the United $tates, often called "Obamacare," is far from socialist, but it does serve as a good reminder of the failures of capitalism to care for some of the basic needs of imperialist country citizens. The United $tates has had government-run healthcare for military service people and their families since the 1800s, and for the relatively poor, disabled and elderly since the 1960s with the creation of Medicare and Medicaid. But these programs serve a minority of Amerikans, leaving the rest to seek health care through insurance provided by their work or through privately purchased plans or by paying directly for services. This means that people out of work or in jobs that don't provide insurance coverage are often left without any health insurance. The ACA attempts to address this problem by providing a government-run program to help insure citizens without coverage. We're not going to take on the critics who say that health care quality would go down if run by the Amerikan government. These same people would abolish free universal education, privatize water distribution, and eliminate the fire department. This is a debate between different factions of the bourgeoisie, and not worth the time of communists, except to point out that we have fundamentally different values. We have no need to defend the ability of a capitalist government to run these programs well because we don't support capitalist governments. And we know that the profit motive does not make for greater "efficiency", as capitalists like to claim. We see this clearly in the United $tates where food is dumped rather than distributed to people going hungry, and the tremendous waste of money on advertising rather than meeting basic needs. Communists think about health care the same way we think about education, food, clean water and other basic necessities. These are things we seek to provide to all people indiscriminately. We prioritize basic humyn needs over luxury items like boats, fancy cars, big houses, TVs, etc. Capitalism, on the other hand, functions on the concept that profitable luxury items are a priority over basic humyn needs. While in a matter of years capitalism has gotten hand-held computers into the hands of anyone with a little disposable income, the decades-long struggle against easily preventable diseases in the Third World continues. Millions of children under five years old die each year in southern Asia and Africa south of the Sahara as a result. We believe that the Affordable Care Act should offer these people free health care services as well. While the ACA has proven once again that small reforms in capitalism can be achieved when they serve the interests of imperialist country citizens, capitalism will never allow reforms to improve the lot of the rest of the world. In fact, even within U.$. borders non-citizens are not eligible for insurance under the ACA. Those most in need, working the hardest and most dangerous jobs for the least money, are still denied basic health care. While it's easy for Amerikans to ignore what goes on outside of their borders, it should be an embarrassment for Amerikan imperialism that the individualism of its citizens is so strong that until now they had refused health care to even their own relatively well-off citizens. Even now, many across the country continue to fight and resist this new law. Prior to the Affordable Care Act, Amerikans who wanted to buy health insurance on their own were often rejected by the health plans for "pre-existing conditions." This means the health plans were picking only the healthiest individuals for insurance, leaving those with even minor history of health problems with no recourse because most insurance plans in the United $tates are privately run for a profit. Now most insurance in this country is still run for profit, but the federal and state governments provide minimum standards of care that must be provided with every policy, and sell these approved insurance plans on a marketplace, in hopes that the market competition inherent in capitalism will increase quality and transparency while reducing cost. Abolishing the profit motive behind health care will be a priority for communists when we take control of a government. We want to make preventive care and treatment available to all people. The new ACA law in the United $tates does not eliminate private insurance or remove the profit from health care, and it's a fundamentally timid step towards universal coverage for Amerikans. But it does enable people to get health insurance regardless of income or health status. For Amerikan citizens this is progress. And for most it is part of the ongoing bribery of these citizens by the imperialists, ensuring their allegiance to the imperialist system. However, a large number of the uninsured in the United $tates come from the oppressed nation lumpen class, and the ACA is a positive step for the survival and healthy living of this group which has a relatively high material interest in revolution. (3) Overall we see the ACA as a progressive step towards universal health care for everyone in the world, if only because it demonstrates the concept of health care as a basic right. We will continue to fight for health care for the world's exploited and oppressed, who are mostly found in the Third World, where even basic medical services are difficult to obtain. 801,000 children under age 5 die from diarrhea each year, most of which are caused by lack of access to clean water and sanitation. More than 3 million people die from vaccine-preventable diseases each year. 86% of deaths among children under age 5 are preventable and due to communicable, treatable disease, birth issues and lack of nutrition. These abysmal numbers would cost very little to rectify. Truly universal health care is a priority for communists, and the statistics above are just a few reasons why the overthrow of capitalism is literally a life or death issue for the majority of the world's people. 2. United Nations, Millennium Development Goals Report, 2013. This computer animated story could have been a feature length ad for the popular children's toy, funded by Lego itself, but it's not hard to read a not-too-subtle communist message into this movie. From the main plot it appears that Marx's conclusions are logical to anyone thinking about organized work and struggle against those dominating the world for persynal gain. What is particularly refreshing about this movie is the strong theme that heroes are not people with special talent but rather the masses are all heroes when we unleash their creativity. 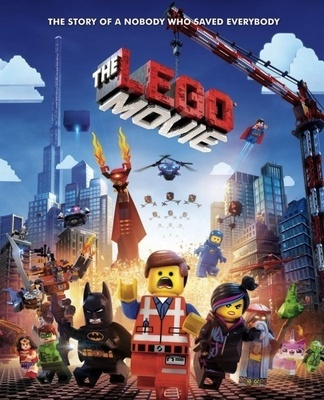 The movie starts off in Lego world with regular ordinary construction worker Emmet, as he follows the instruction booklet for life, produced by the Octan Corporation, which details how he should dress, what music to listen to, the expensive coffee to drink, what brainless TV to watch, and how to do his job working with lots of other people building things that are without purpose and will be torn down to be built again another day. These workers are uncreative, but very cooperative in their work. When it comes time to fight back against President Business, the CEO of Octan Corp., who is trying to dominate the world, it is Emmet who realizes that the collective organization of the workers is indispensable to building the resistance against Octan. In fact, the Lego heros (batman, spaceman, superman, NBA players, etc.) find their heroic individualism an impediment in their attempts to fight back as an organized group. These are themes of Marxism, which sees that the organized labor of the industrial proletariat will make up the leadership of the communist revolution because of their unique position exposed directly to the contradiction of collective labor being deployed for individual profit. But there is another layer to this Marxist theme because the workers are not actually proletarian in the Lego land. There is no profit in the construction work which appears to just be happening to keep everyone busy. The workers are paid a high salary, judging from Emmet's living conditions. In reality these workers are a labor aristocracy just like we have in the imperialist countries today, where workers are bought off with the superprofits from exploitation of unseen workers in the Third World. The complete lack of productivity of the Lego workers underscores the impossibility that they are the ones creating the profits. No longer a part of the proletariat in the real world, these workers will defend imperialism against revolutionary forces to maintain their elevated standard of living. So we wouldn't actually expect them to lead the revolution that is serving the interests of the global proletariat. However, at some point a contradiction may arise that is such a threat to the labor aristocracy that they will be compelled to join the forces of revolution. This threat will likely be life threatening, like Lord Business's plot to kill everyone. But until that contradiction arises, we should expect the labor aristocracy to join in the chorus of the Lego theme song "Everything is Awesome," and continue their unproductive labor, enjoying their capitalist-created entertainment. In the beginning of the movie Vitruvius, the white-haired god-like leader of the forces of good, prophesies that there will be an individual who will rise up to lead the resistance and foil the ultimate plot of Lord Business. These strong religious overtones are nicely dispelled later when Vitruvius confesses that he made up the prophesy because he thought it would help average people believe in themselves, and in fact he knows that the creativity of the masterbuilders (heroes) exists within everyone. In the end Emmet is able to convince Lord Business that he doesn't have to be evil and so the communist theme is undermined by the pacifist view that we can convince those with money and power to give up exploiting and oppressing the people of the world. Communists know that this fairytale ending is far from the reality that will require violent overthrow of the bourgeoisie, and ongoing military force to keep them from reclaiming power until we can transform society and create a culture that does not nurture individualism and profit over people.